Show your ACE membership card at the gate and receive a one day ticket for $26 (tax included)! Show your ACE membership card at the gate and receive $15 off a one day ticket! Show your ACE membership card and a photo ID at Dollywood or Splash Country’s Guest Services window and receive $5 off an adult regular price admission ticket. Show your ACE membership card at the Park Office (underneath the Swamp Fox) and purchase an unlimited ride band for $15.75 per person, per visit. Each member may include ONE non-member guest at this special rate. Show your ACE membership card at the window and get ride tickets for $12.00 per person for a single rider and $10.00 per person for 2 riders in the same coaster car. 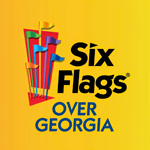 Each additional ride after the first will be $8.00 per person. No ACE specific discounts, but check www.lakewinnie.com for current promotions available to everyone.